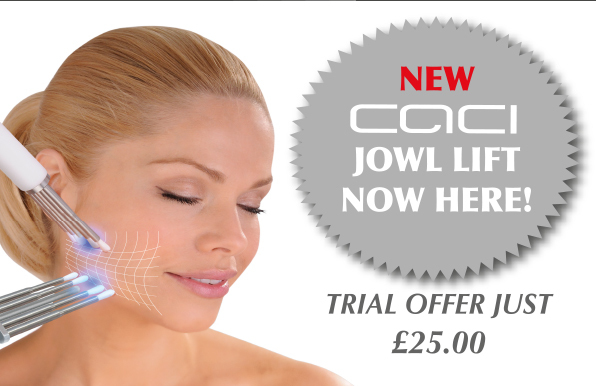 The award winning CACI (Computer Aided Cosmetology Instrument) has gained the reputation as the finest micro current machine available. Backed by over twenty years of research, CACI is the best-known system within the beauty industry, and is considered to be the most advanced treatment system of its kind. 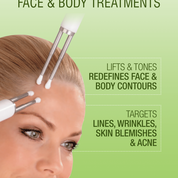 CACI QUANTUM features specific programs for slimming, contouring, cellulite and lymphatic drainage and the famous non-surgical face-lift. The world acclaimed non-surgical face-lift treatment has a vast array of celebrity devotees. The powerful micro-current lifts the face by toning and exercises facial muscles, smoothing away fine lines and wrinkles and preventing sagging skin. A 90 minute intensive treatment that allows concentrating on specific areas of concern. Focuses on the contours of the eyes to help smooth out fine lines and wrinkles, giving an immediate lift. By boasting three different modified faradic applications in one setting, we can tone, slim or tackle cellulite successfully. A course is recommended. A specific program used to develop, strengthen and build up weak muscles on the abdomen, bust and buttock. The powerful electro cellulite massager tackles cellulite and fluid retention achieving a rapid inch loss and firmer, tighter contours. This is an internal cleansing treatment that improves circulation and regenerates the skin, tissues and muscles. This treatment is excellent in aiding cellulite, de-toxin of the body, fluid retention, bags under the eyes, and dry skin condition.